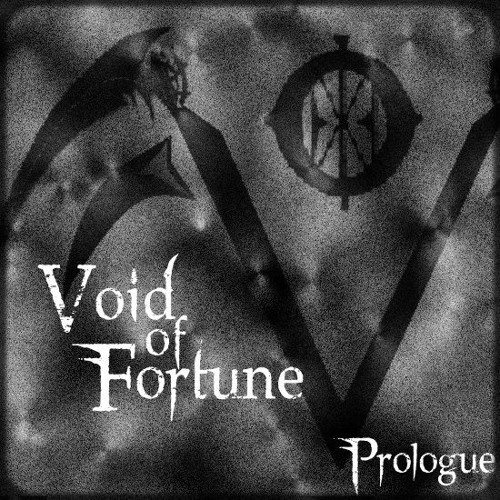 Hi I’m Steven from Void of Fortune, and I’m going to be going in-depth with our EP “Prologue”. We chose the name Prologue for our EP because it was fitting for what was going on with us as a band, and as young adults. The Prologue is usually a chapter or section that occurs before the story has begun, and I feel like that’s how we are. We’re a group of young friends starting something amazing before our real story has even begun. Descent is all about a time in my life when everything was falling apart around me. Everything I thought true and righteous was turning out to be nothing more than just a lie, and everything I did was self-destructive to my own life. The song is formatted so that the verse is really me talking to myself like one would do in a mirror; basically just yelling at myself for being such a screw up. I was officially in a Hell of my own making. Suicide Frog is all about losing faith in yourself, and truly believing that there’s nothing you can do to change your situation. Day in and day out you just give in to fear and indecision while the very person you’ve always feared of becoming takes hold. However, you still manage to find something (be it a friend, relative, or something else) that gives you the strength to get up and try again. Not everything is as bleak as it seems, and there is always a better way out. The story behind the name “Ghost of Suicide Frog” is my senior year in high school (the rest’s freshman year) Spencer, Jordan, and I were walking to guitar class when we bore witness to a frog jumping off of the roof of the auditorium and committing suicide. It was a pretty bloody and gruesome death for a frog, but it has since then been an inside joke for the three of us. Sinner is a song for everyone who has ever committed a sin or is currently sinning in our world. Like it or not it’s the sinful and corrupted that run things in our day to day lives. But, on the flip side, this song is also about those natural urges we’re born with that some would put down and try to silence. We as humans are born from sin, born with sin, and die with our sins. Some are perfectly natural like feeling a sexual attraction to another, or wanting to find a logical explanation for something instead of keeping to a specific faith. So From the Tongue of a Sinner is showing both sides to sinners; the good and bad. Just a dark and soothing melody before My Love, Your Curse. This song is extremely important to me in so many ways. The period where my life was falling apart I was with a girl who is the center of everything that was going wrong. She was the reason my life was such a Hell. She used me, cheated on me, got kicked out of my house at 19, and I ended up losing my job too. You never really feel alone until all of your friends and family turn their backs on you. Any who, MLYC (My Love, Your Curse) is about a dream I had one night where I ended up getting revenge on my ex by hunting down and killing her, and kind of making a sick game out of it too. I probably would never do this in a thousand years, but it really helped get my full hatred for her out of my system. This song is made for anyone who hates their ex as much as I do. Spencer and I (along with our former drummer Zach) wrote this song back when we were in an old band together called “Ex Nihilo”. It was originally called “The Four” and is all about the Apocalypse from the view point of the Four Horsemen. There’s really no deep meaning behind this song other than our opinion of how hellacious the end of time is going to be.